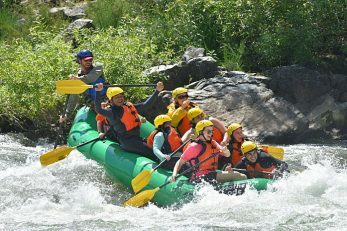 Mother Lode River Center has been running trips for more than 40 years and we’ve had more than 290,000 happy whitewater rafting participants. We’ve listened to our clients over the decades and bundled together what people like best about Mother Lode into these packages. 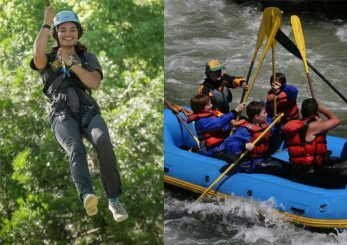 Now you can easily book all of your favorite adventures — including whitewater rafting, ropes challenge course and zip-lining, camping, and meals — in one fell swoop. 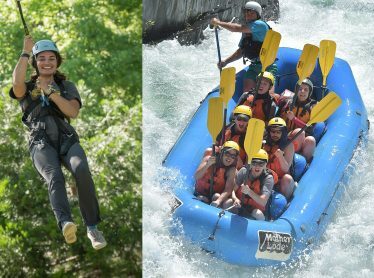 Everyone agrees that whitewater rafting is the most exciting way to enjoy the river. 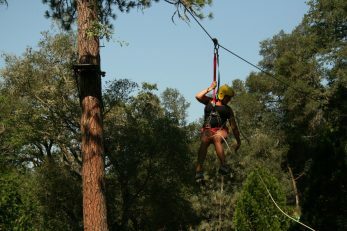 Zip lines are the best way to experience the riverside canopy from above. Why not do both? This exclusive trip is kept to a maximum of 20 people per day. 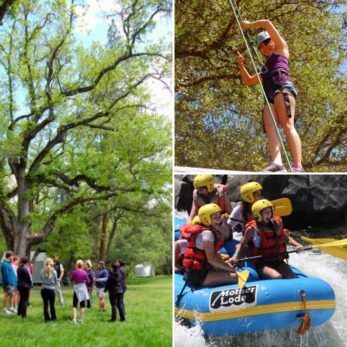 This is the perfect introduction to Mother Lode and combines two crowd favorites, swinging up in the trees and being out on the river. Spend the morning on our adventure park on elements like the zipline, trapeze and climbing wall. Enjoy a hearty BBQ lunch before jumping on an afternoon float trip down the South Fork. The C2G section of the South Fork has class I-II rapids, which is perfect for someone looking to be out on the river but might not the full Gorge or Chili Bar experience. Minimum age is 8 years old. 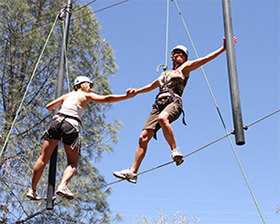 Combine our two most popular activities at Mother Lode into one amazing day. The day begins with a morning on our adventure park rotating between different high elements like the zipline, trapeze, and climbing wall. After we refuel with a BBQ lunch, we hit the river and tackle the South Fork of the American River. This stretch of river offers class II-III rapids which are perfect for a splashy, exciting and adventurous trip.